With summer around the corner, finally some nice weather (except when it decides it wants to be winter once or twice a week) and longer days our wardrobes need to step up their game. No more hiding behind winter coats! Lately, I have been wearing looks that even though I am 6+ months along, I could still totally wear when the little guy is out and running around. I mean style should be an always thing. For this #ootd or in other words, Outfit Of The Day, I wanted something neutral because even though I may not be feeling 100% I don’t want to look like it. What I loved about this look is it’s comfortable and can be worn any time. And if you give me a dress with pockets its game over. 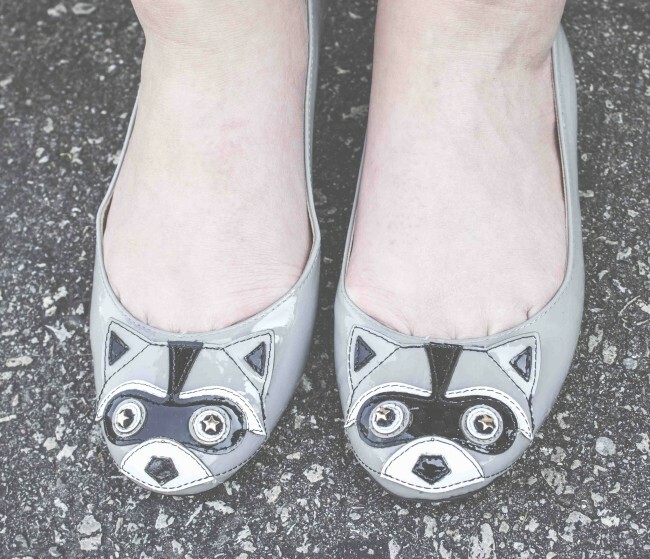 Kate Spade New York Jiro Raccoon Patent ballerina flat’s I knew they were a must. They are fun, add a little colour to your look and I promise you, you will be stopped everywhere you go with people wondering where you got these little critters. My baby…. 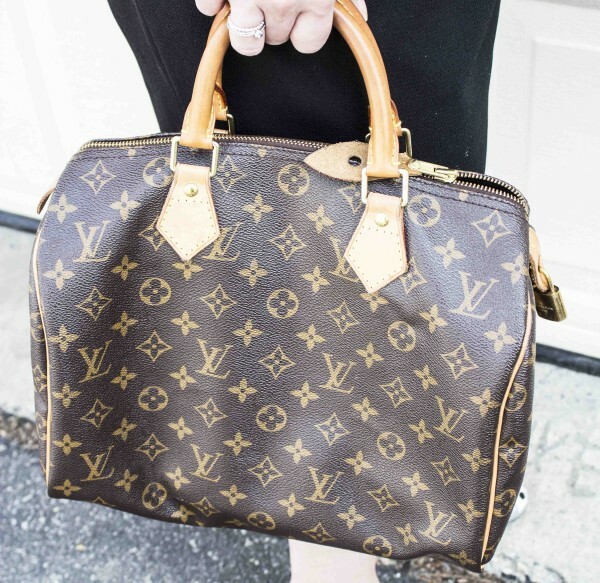 my Louis Vuitton Speedy. I treat this bag like the royalty it is, and it has been there for me for the past 5 years. We have travelled the world and she always puts a smile on my face. The speedy comes in a variety of sizes, mine being the 30. It honestly matches with anything you can think of. This purse is an investment, but care for it like the beauty that she is. These little earrings I got in Queen West at a little mom and pop accessory store for $5.00! With the same lovely lady that was with me to get my raccoon shoes, when she is with my shopping I am always successful! 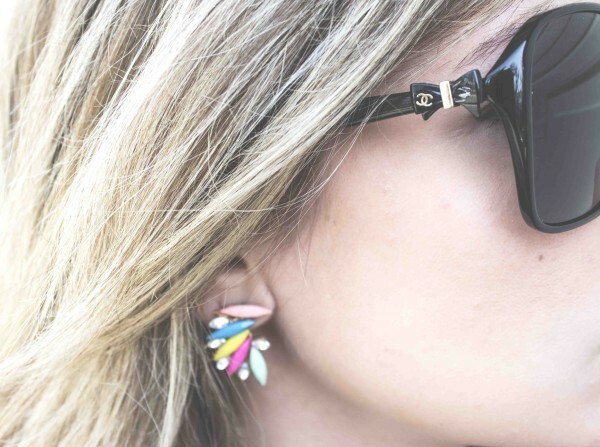 As for my sunglasses- these are my favourite Chanel’s like ever. Classy and once I saw there was a bow on them it was game over. My dress is none other than the Kate Spade New York crepe cap-sleeve pleated-front dress in black. The A-line silhouette makes me feel comfortable and feel like I can breathe!! Also comes in a colour called Aladdin Pink (a stunning hot pink), which is perfect for summer and I wish I had this colour in my closet! The pleated front as just enough detail to the dress to not make it look… well plain! love your outfit & may I say.. You are so so tiny!! !